The entire staff at ESANA Plastic Surgery Center and MedSpa in New Haven is dedicated to bringing the highest aesthetic care possible under the close supervision of both surgeons. 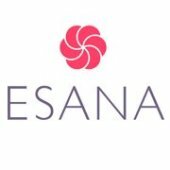 ESANA is unique in its ability to bring all your cosmetic needs into one location, from non-invasive laser services to medical-grade skin care, from minimally invasive injectables all the way to plastic surgery. By offering the full spectrum of treatments, our medical team can customize a plan to fight and reverse the signs of aging or to enhance and maintain your natural youthful beauty. Call us today for more information!